Another easy one at the May Photo Challenge: “Morning sky”. 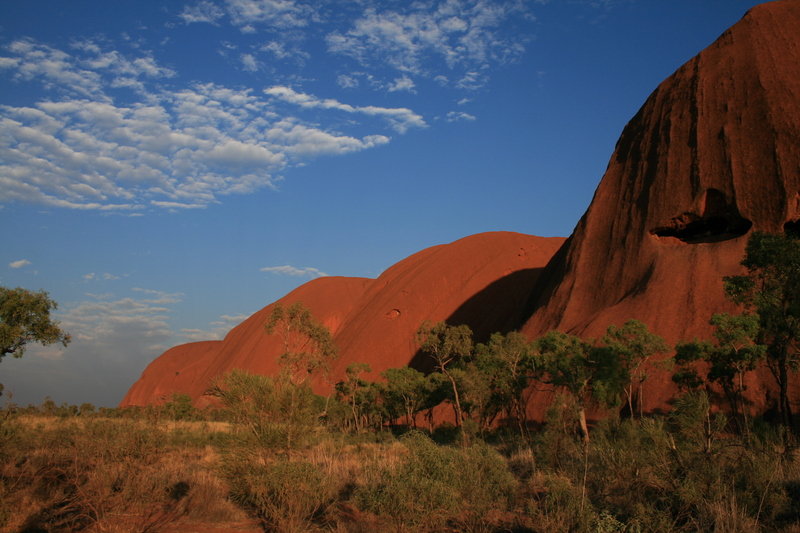 Well I can think only of one occasion when I got really early and took pictures: When we went to see Ayers Rock or Uluru as the Aboriginis call it and well, they have been there first. We got up around 4.30am to be at the site at around 5.30am to watch the sun go up over Uluru and walk around that big rock. It was an amazing sight and I had that “I could actually feel the power of this place if there weren’t that many people around” feeling.And with people I especially mean those stupid people who can respect other peoples faith and thought they hadn’t really been there without climbing it. 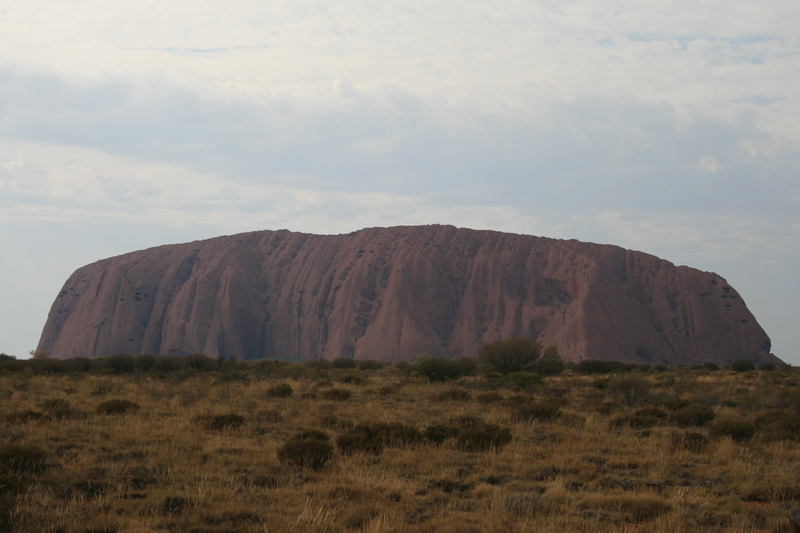 Hey, the Aboriginis don’t want that and you wouldn’t climb an altar to take a foto on it either, wouldn’t you? It was late September so early spring but the temperature was rising quickly (I don’t want to know how hot it can get in summer. I think spring or autumn are far more recommendable) and a pest of flies was bother all of us except for the ones that had bought a flies protection hat which looked absolutely stupid but you tend to ignore stupid and long for one when flies are all over your face, in your ears, nose and mounth. How can you get used to this? We went there with Adventure Tours and were quite happy with the trip. 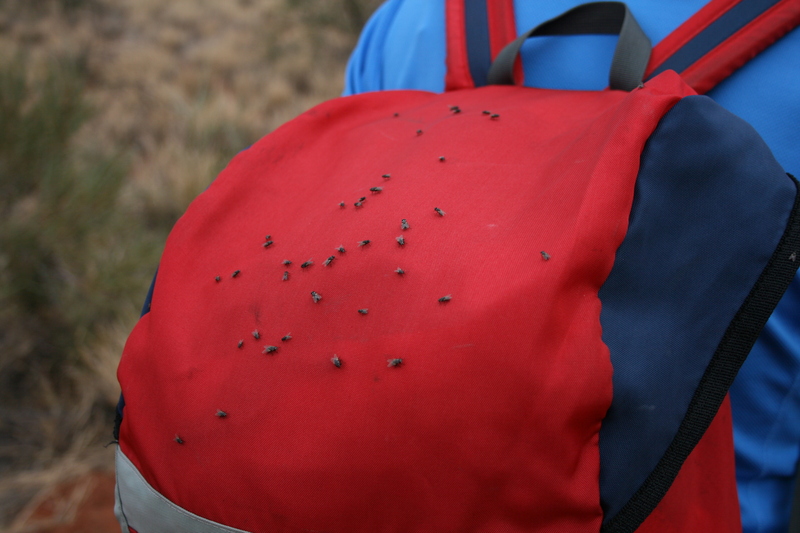 It was a no frills trip with a mostly younger backpacker crowd. My mum was by far the oldest in the group but she was absolutely relaxed about this. 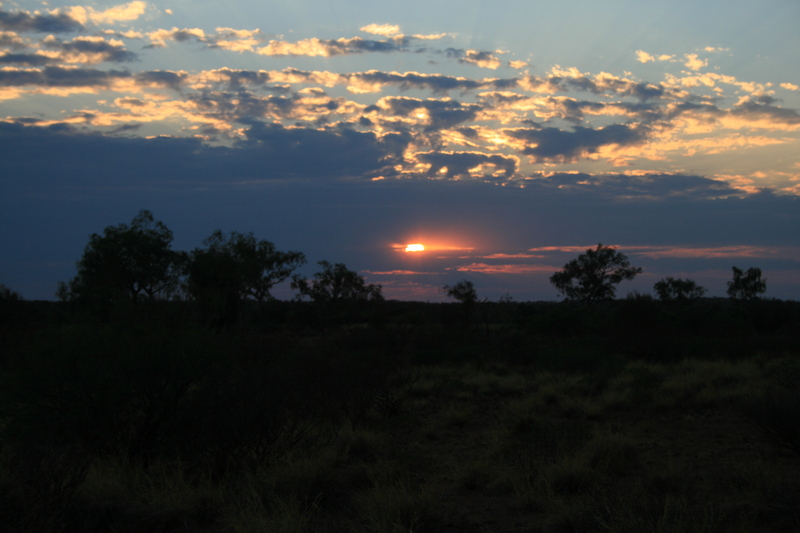 Overall we did three tours with them: Alice Springs to Uluru and back including Kings Canyon and Katajuta, Alice Springs to Darwin and Darwin to Kakadu National Park and back. The trip was great. Especially our wallk around Kings Canyon, a three hours trip that nobody was allowed to start on with out an 1,5l bottle of water as it was really hot. And what we saw was breathtaking. All that red earth, these rocks that are simply there in the middle of nowhere, all that is just stunningly beautiful. If you have a chance to go there, do it! 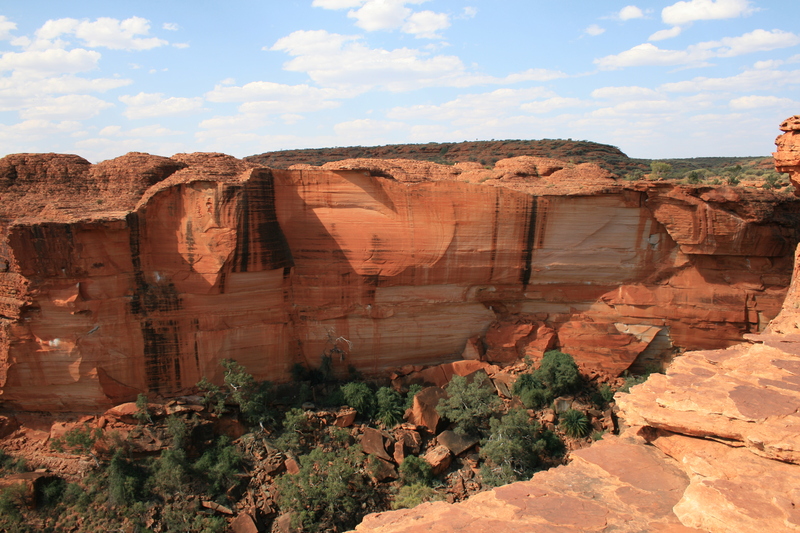 But take the time to travelling from Alice Springs as Kings Canyon is really worth a visit. 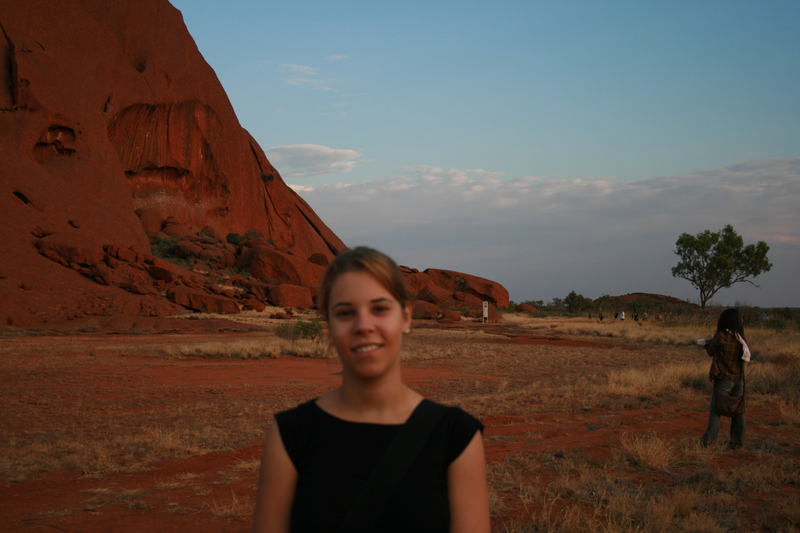 This entry was posted in Australia and tagged Ayers Rock, May Photo Challenge, Uluru, Walk by kathatravelling. Bookmark the permalink.